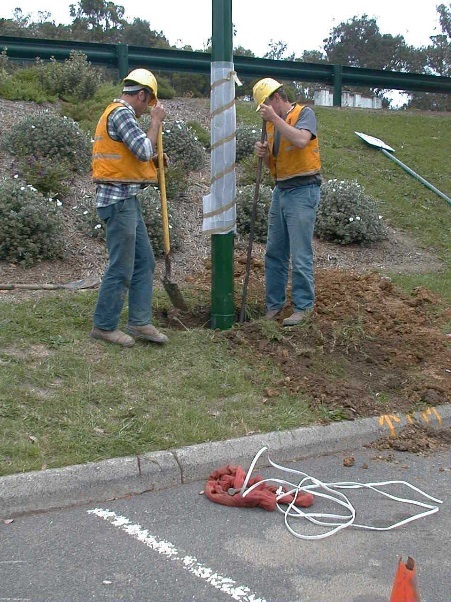 This section of the website is designed for the purpose of providing Indicative Guidelines related to installation of poles. It is not to be used as substitute for an approved installation instruction. 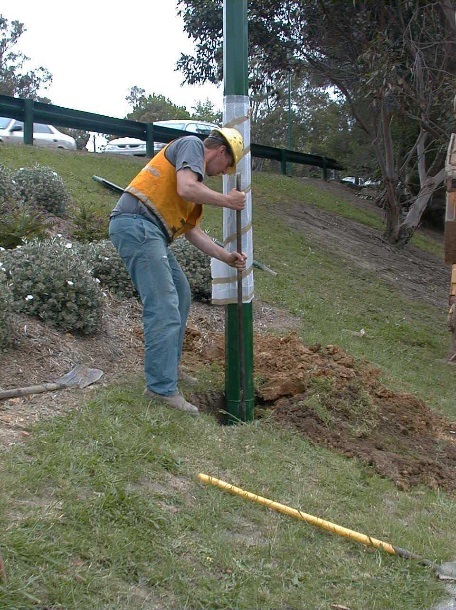 In every case, installation of poles should be carried out by suitably qualified industry professionals in accordance with relevant industry standards and/or specific requirements as set out by relevant authorities. Site conditions will vary depending on project location. Soil condition, wind loading factors and terrain will play a major role in determining appropriate footing design specific to any site. Vicpole accepts no responsibility for the accuracy of the indicative information given. Contractors are obliged to obtain engineering computations to determine the appropriate footing requirements for each site. The following indicative elements are based on terrain category 2, concrete strength 32 MPA and an allowable lateral soil bearing pressure of 50kPa per metre depth. 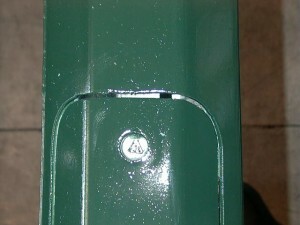 Occasionally – due mainly to impact, a pole door may need to be replaced. 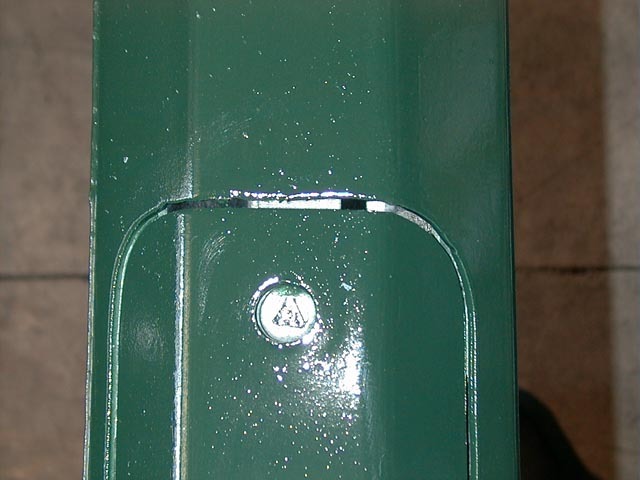 Because pole access doors are cut from the same section of pipe that formed the actual pole, it’s not possible to keep spare doors in stock – each pole is individual, dependant on pole taper, the location of the door on the pole, pipe diameter and other factors. This can make for a slightly tricky process when ordering a new pole access door. The attached document outlines the required procedure to ensure the replacement door is correctly cut to ensure it matches the pole for a close fit. Door cut/fitted from same pipe. Incorrectly cut door. Gaps will lead to moisture and dust ingress. 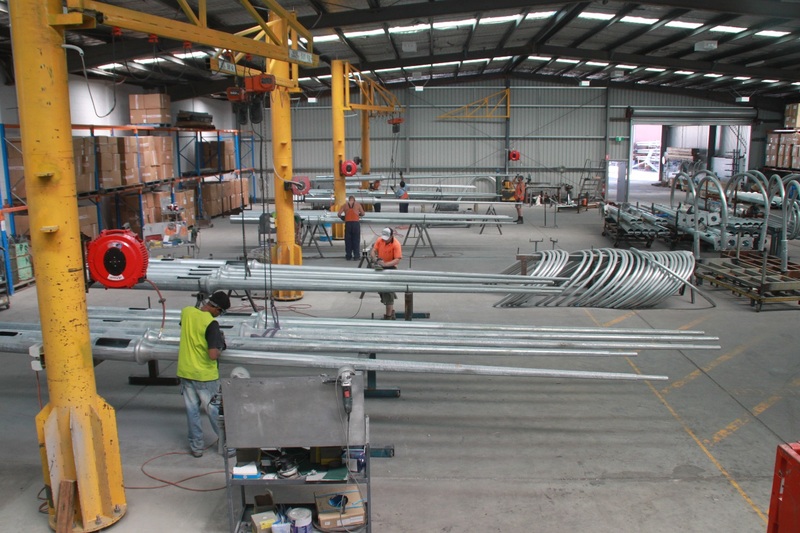 Hand finishing of poles at Vicpole Galv Finishing Section – THE VICPOLE WAY – ATTENTION TO DETAIL. A Vicpole pole is not just a pole. Our commitment to the highest standards of quality is reflected in the finish of our products. Vicpole hand finishes every pole and uses the best non-carcinogenic coating system approved by the industry. 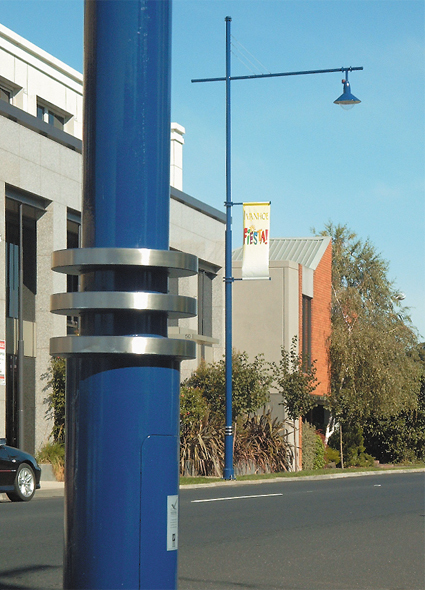 Our Acrathane painting system formulated by Dulux, is a graffiti resistant protective coating which ensures longevity in any environment and maintains the pole aesthetic for years to come. 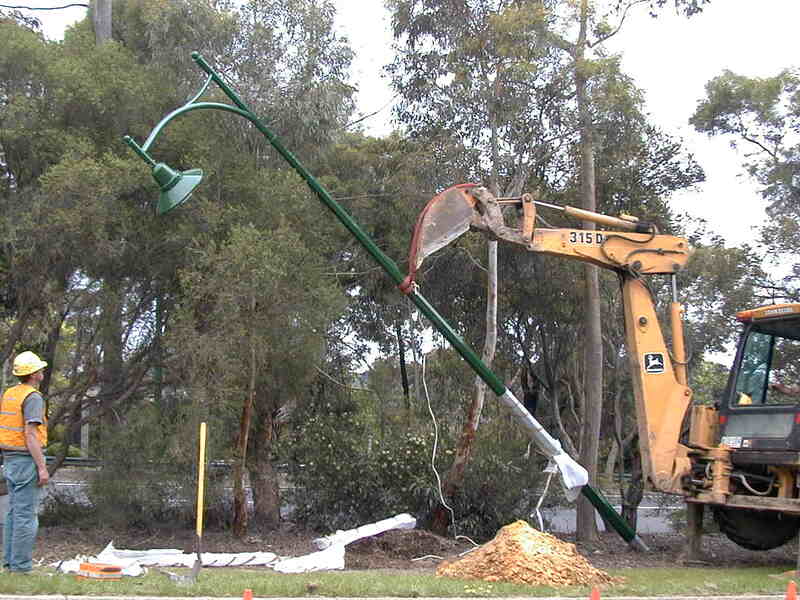 Structural integrity is a part of any Vicpole pole design. All ornamental transitions are structurally welded ensuring a long life and minimizing the possibility of pole ingress by moisture, dust and bugs. Vicpole is in a unique position to be able to offer advice on optimum lighting solutions. Offering a full lighting design service, we can also provide energy comparisons – including LED vs HID lamp – on greenhouse gas emissions, life cost comparisons taking into account maintenance regimes and more. 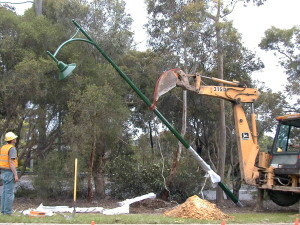 All Vicpole Lighting designs comply with relevant Australian Standards. A Site layout in AutoCAD format is all that’s required to get the ball rolling. 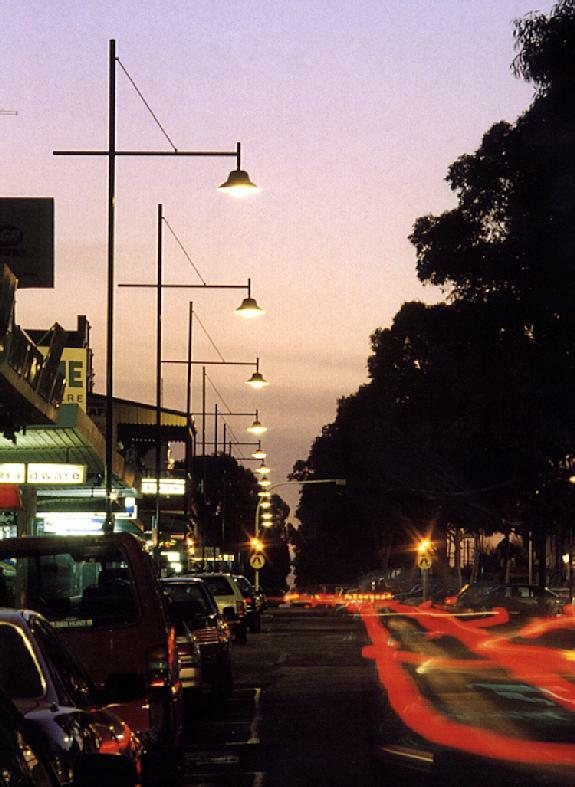 In providing luminaire analysis, we include spacing tables for a range of road widths, isolux diagrams to given scales and mounting heights, completing the lighting design package. For more information please contact your nearest Vicpole Sales Office.